Rebel Media's Gavin McInnes shot a frantic video walking back his comments on "Jews" and "the Holocaust" at the airport. For most people, a visit to the Holocaust museum would be a humbling experience. How did someone from a website that has frequently showcased Canada’s Conservative leadership candidates become toast of the town in anti-Semitic circles? 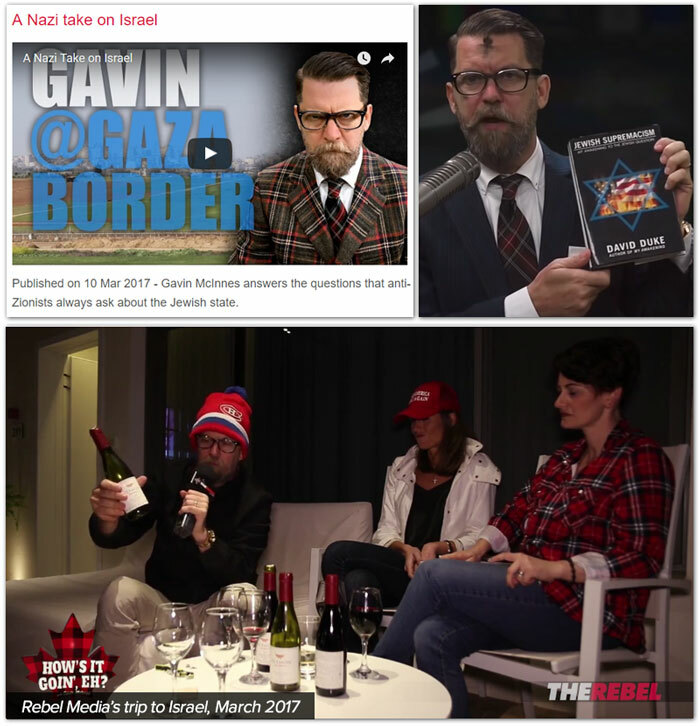 The story begins with Rebel Media’s recent trip to Israel – officially described as a “fact-finding mission” by Rebel Media, but McInnes likens it to a “brainwashing trip” that “the Israeli government paid for” along with “mostly Israeli” Rebel Media donors. 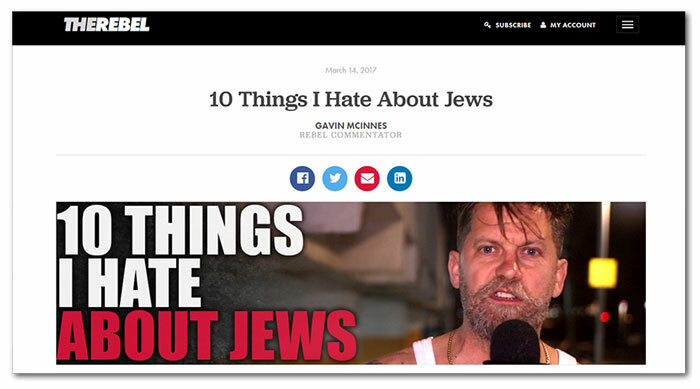 But in a pay-walled video shot for Compound Media’s The Gavin McInnes Show and later published on YouTube by alt-right blogs, McInnes is seen going on an extended rant explaining why his trip to the Holocaust museum has inspired “anti-Semitic” feelings. Using air quotes to describe the “Holocaust,” McInnes says he felt an urge to confront a guide at the Holocaust Museum and challenge the historical accuracy of the museum’s facts, questioning the number left dead by the Holocaust and the existence of gas chambers at Nazi concentration camps – “I felt like I felt myself defending the super far-right Nazis,” McInnes says. 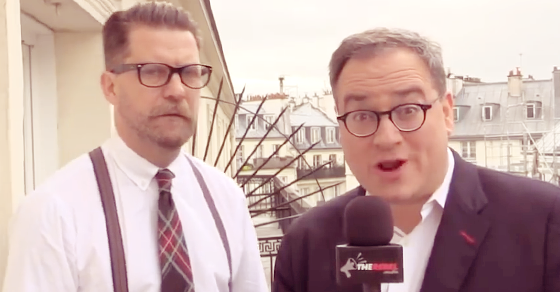 And not the best moment for Rebel Media either. Presumably, the Israel junket is at least in part about rejecting the suggestion that they’re Nazis. One thing’s for sure: if you actually need to clarify what you really think about the Holocaust or distancing yourself from Nazis, it’s probably a good sign that it’s time to sit down and take a hard look at what you’re doing with your life. The video begins with a bleary-eyed McInnes wandering down a Tel Aviv street smoking a cigarette. • McInnes claims Jews do not have a “good attitude” and need to get over the Holocaust. • McInnes compares Jewish attitudes towards the Holocaust to African-American attitudes towards slavery (“It’s like a black guy going: yeah, white people did slavery. Well, they didn’t start it but they ended it so maybe be a little more positive about it”). 2/2 …It’s offensive and stupid. If Rebel thinks this helps Israel’s cause, think again. O'Leary and Leitch say they'll run roughshod over Canada's division of powers and bully provinces and cities into bending to their will. What a time to be a Conservative in Canada! 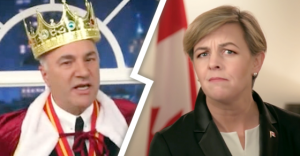 Two of the higher-profile contenders in the Conservative leadership race suggest that if they become prime minister, they’ll run roughshod over Canada’s division of powers and bully provinces and cities into bending to their will.